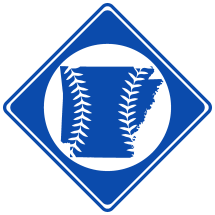 Shelby Blakemore Harper, born October 21st, 1889 in Greenwood, AR, was a profession baseball executive. He was president of numerous minor league teams from 1926-1930, a special assistant to Branch Rickey, and head of concessions at Sportsman Park in St. Louis from 1933-1946. Blake Harper was the sheriff of Sebastian County, AR before entering baseball. Harper died January 28th, 1950 in Hot Springs, AR after a lengthy illness. He was buried in Greenwood Memorial Cemetery in Greenwood, AR.